The word “university” brings to mind students rushing to classes, faculty in front of lecture halls, graduate students working in laboratories and an atmosphere of learning and discovery that facilitates quality education. However, in November 2015 during negotiations with the University of Connecticut’s chapter of the American Association of University Professors (AAUP), the administration’s chief negotiator stated that “the university (is defined as) the Board of Trustees, the President, the Provost and the Deans.” He did not mention the undergraduates, the graduate students or the faculty. Despite not considering faculty or students as part of the state’s flagship university and premier research institute, UConn has continued to rise in the college rankings put out by U.S. News and World Report. 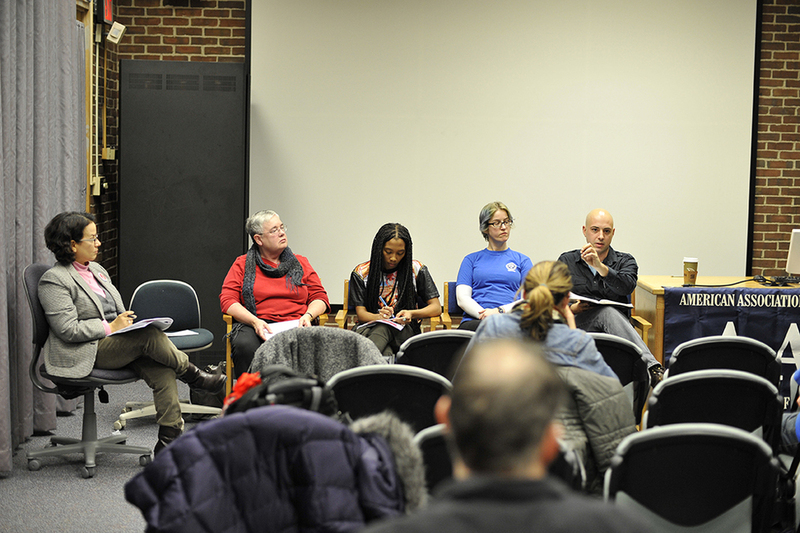 From the point of view of faculty and students in attendance at the AAUP event, the shift in emphasis has been detrimental to providing a quality education. From the proposal to replace the campus Co-op bookstore with a big name such as Barnes & Noble to the decreasing stipends of graduate students to the insecure nature of adjunct professorships to continually increasing undergraduate tuition and facilitating a social atmosphere that is less than friendly to minority groups, the AAUP panel made clear several aspects that contribute to the potential reduction in quality of a UConn education. With the faculty who interact the most with students excluded from planning, the quality of education is easily affected, Rumbo said. As an example, a few years ago honors decided that only tenure track professors could teach their English courses when at the time many adjuncts were teaching these smaller classes. Today, many graduate students teach these classes under the name of tenure professors. In addition to their inability to impact courses and curriculum, the renewal of adjuncts is based only off of student evaluations, Rumbo said. It is not only faculty fear that is contributing to a possible reduction in the rigor and therefore quality of education, but an atmosphere of fear. The only logical solution that continued to resurface at the panel was unity. “If we can see that we have the same problem, the administration, then we can be an even stronger force together,” Hughes said.